APHONE + Engineering can measure and study acoustic and aeraulic issue. We measure on your plant environmental noise – plant running or not running. A measurement report is issued after acoustic measurements. 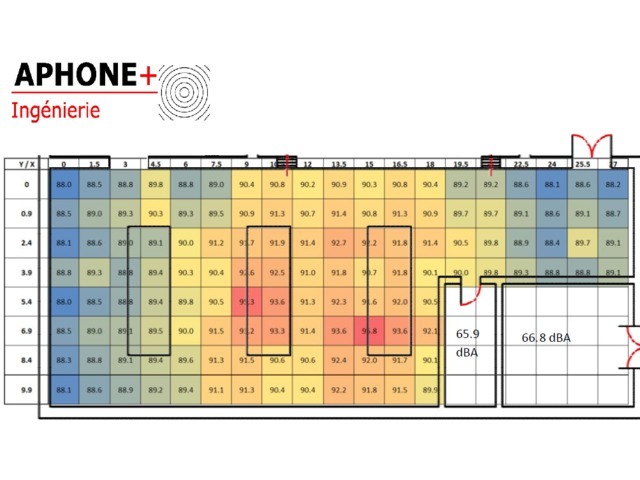 For your industrial workshop, we can establish an acoustic mapping (using our sonometer and acoustic dosimeter), in octave or if you want, alternatively with an one-third octave filter. A measurement report is issued after acoustic mapping. More, we advocate acoustic treatment (acoustic enclosure, silencer, muffler…) and acoustic gain to fulfill acoustic standards. We can also supply quotation to isolate your workplace.